With Winter around the corner, it is time to start prepping to keep your dog happy, safe, and healthy during the coldest months of the year. 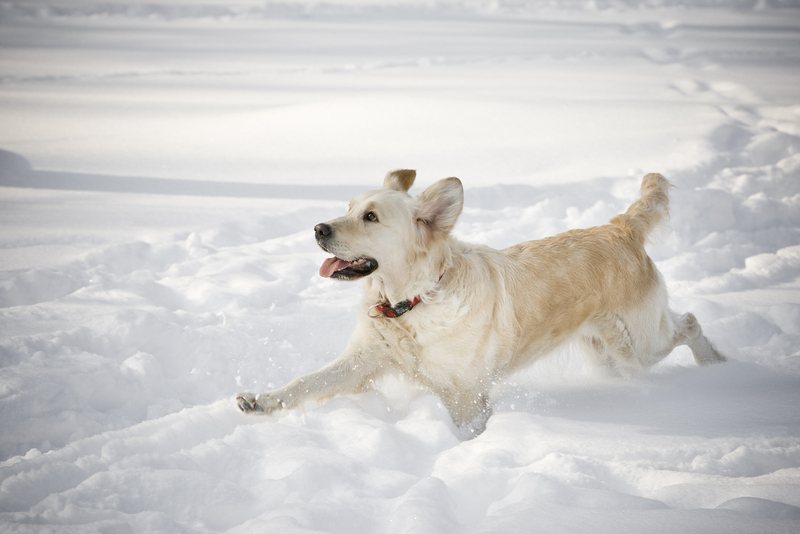 Ensuring that your dog is warm and safe from the blistering cold will allow your dog to have a wonderful winter. Making sure your dog has boots will keep their paws safe. Ice and salt can cut up a dog’s pads and when they are cut, the salt will make the cut worse. By putting on dog boots you will give your friend better traction and the ability to keep their paws safe and sound. A coat for your dog is great, especially if they are a short haired breed. Coats and sweaters will keep your dog from shivering and being exposed to harsh weather. Make sure the coat or sweater fits your dog first. If it does not it is too tight or not easy to move in, and your dog will be unlikely to want to wear it. Leaving your pet in your car can have the same result as summer does. The interior of a car will often be colder than the exterior and leaving your dog in the care can cause them to have no protection against the elements. Leaving your car running is also a bad idea. Carbon Monoxide poisoning is a very serious threat and can affect a dog much faster than a human. Make sure to leave your dog at home instead of in the car during short trips in the winter. When Winter comes make sure you keep your dog safe with a coat, boots, and safe places to be when it’s cold out. This entry was posted in dog care, Holidays and tagged Dog, pet owner, tips and tricks, Training, winter. Bookmark the permalink.